The game is great for adults, too. If your teens are interested in video game development, there are a number of tools and games they can use to learn how games are made. A new game from E-Line Media, The Endless Mission, isn’t just about exploration and remixing games to make new experiences. It also wants to teach players how to create video games. According to Variety, it goes about that teaching game design in a rather extraordinary way. The Endless Mission contains multiple levels or stages, each introducing players to a new game creation tool or idea. As Variety reported, the game starts simply and becomes more complicated over time, eventually allowing players to manipulate the C# code (the programming language) used to create The Endless Mission itself. To help players with remixing and creating their games, The Endless Mission will include a story mode that serves as a tutorial to the game’s creation tools. A separate “Hall of Celebration” area will show off the community’s best creations each week. The Endless Mission is expected to launch on Steam Early Access in late fall 2018 for less than $30. 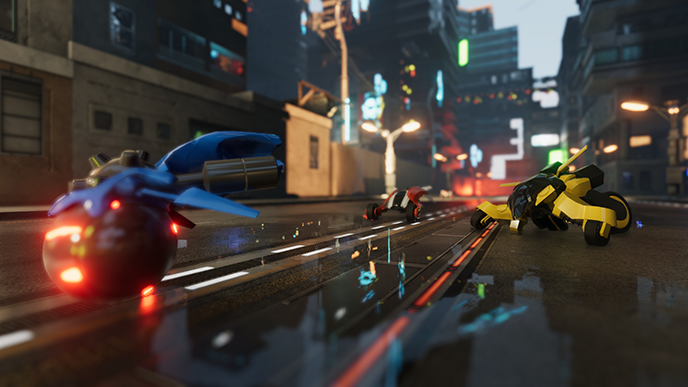 The game will start with only three gameplay styles to play around with -- platformer, kart racer, and real-time strategy -- but more genres will be added in the future.